Finding a Recycled Green Part for your vehicle is easy. 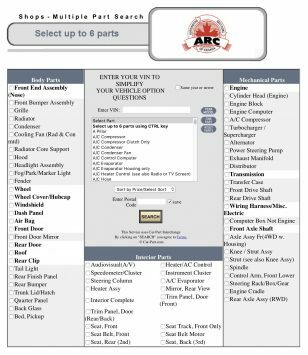 A sophisticated parts locator network connects the inventory of hundreds of auto recyclers across the country. With the click of a mouse, you can instantly locate the right Green Recycled Parts for your vehicle. Simply plug in the Vehicle Identification Number (VIN) for the best accuracy or the year and make/model of vehicle, along with the part(s) you’re looking for and you’ll know instantly who has the part you need. Locate your Green Recycled Parts HERE.